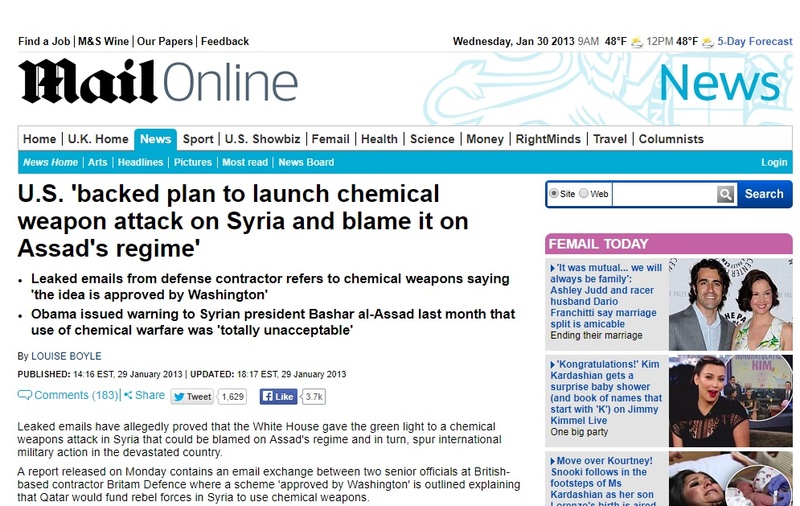 The recent alleged chemical attack near Damascus was a “false flag” operation by the US and its allies to launch an attack against the Syrian government and prolong the wars in the Middle East, a geo-political expert in London says. “Anyone with a brain knows that the so-called chemical weapons attack was a total false flag,” said Adam Garrie, the Director at Eurasia Future, a news and analysis website. Syria and its main allies Iran and Russia must coordinate their efforts to prevent the American regime from launching attacks against the sovereign Syrian state, Garrie told Press TV on Tuesday. “The United States…is being run by a neocon (neoconservative) faction that is identical to the kind of ideology which ran the [former US President George] Bush regime,” he added. Former US Congressman and political analyst Ron Paul says the claim that Syrian President Bashar al-Assad "is gassing his own people is a total nonsense,” adding that the American neoconservatives, who want a perpetual war in the Middle East, are probably behind the recent chemical weapons attack in Syria. Dr. Paul, a three-time American presidential candidate and the founder of the Ron Paul Institute for Peace and Prosperity, made the remarks in an interview on Monday while commenting on the alleged attack near the capital Damascus on Saturday. KEY POINT: It’s quite difficult to believe that President Trump is not fully aware of the false flag chemical attack allegedly staged in Douma, Syria . Although the hard proof has yet to be reviewed and/or authenticated, all of the circumstantial evidence clearly points to a highly sophisticated false flag operation carried out by all the usual suspects—CIA, MI6 and MOSSAD. As far as “Cui bono?” is concerned, it’s clear that only Israel benefits from this ridiculous false flag operation.President Bashar a-Assad had neither the means nor the reason to gas his own people.Nor would Russia or Iran support such an attack. Special Note: Not only did President Donald Trump call President Putin on March 20th to congratulate him on his landslide victory as president of Russia, he also proposed a meeting with him in the White House. Earlier in the month, the Skripals were stricken with the Novichok nerve agent which Russia says was produced by a British bioweapons laboratory. (Russia Claims Skripal Poisoning Was Staged By UK Intelligence) unsurpassed and peerless (Yes, they often work in tandem with the CIA and MOSSAD). But their real skill and long-time experience lie in falsely blaming Russia for everything they themselves are guilty of. For instance: It wasn’t Russia that tried to fix the 2016 U.S. presidential election; it was the British. 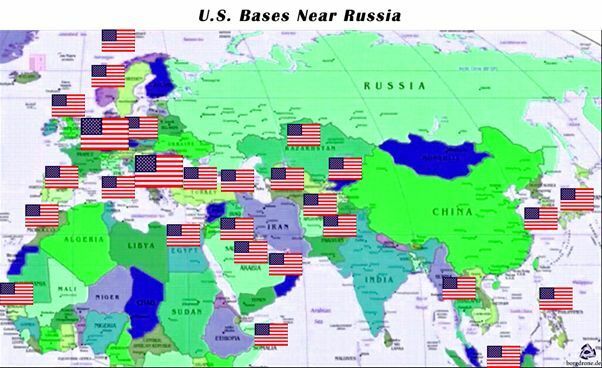 The mainly Jewish media tries to make people believe that Russia is the threat and not the USA but look at all the USA military bases that surround Russia. 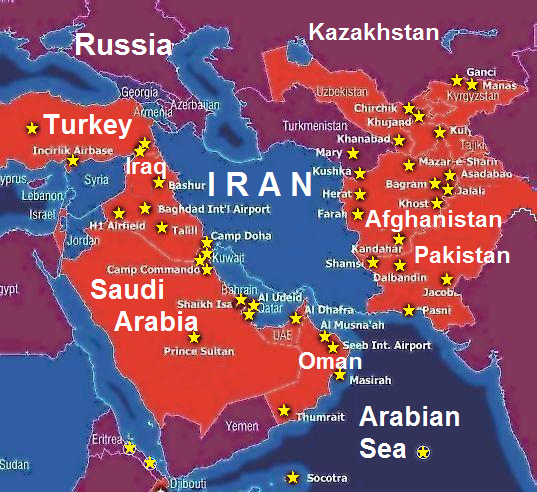 America is controlled by the Jewish Neocons and it was them that were behind the events of 9/11 and not the Arabs and it is them who are behind the path to WW3.